Sigma Gamma Rho Sorority, Inc. and USA Swimming sponsored the 2017 Fédération Internationale de Natation (FINA) biennial World Junior Swimming Championships from August 23 – August 28, 2017 in Indianapolis, Indiana. The sorority was the presenting sponsor and did this as part of their mission to decrease drowning in the United States. “This agreement expands the sorority’s five-year old partnership with USA Swimming and designates it as the only non-profit sorority involved in this world-class event. ‘It’s exciting to see the continued growth of our partnership with Sigma Gamma Rho as it elevates to the international stage with the sponsorship of the FINA World Junior Swimming Championships,” said Tim Hinchey, President & CEO of USA Swimming. “With the organization’s strong ties to Indianapolis, this event presents the perfect opportunity to showcase the unique relationship Sigma Gamma Rho has with USA Swimming. '” the sorority stated in a press release. 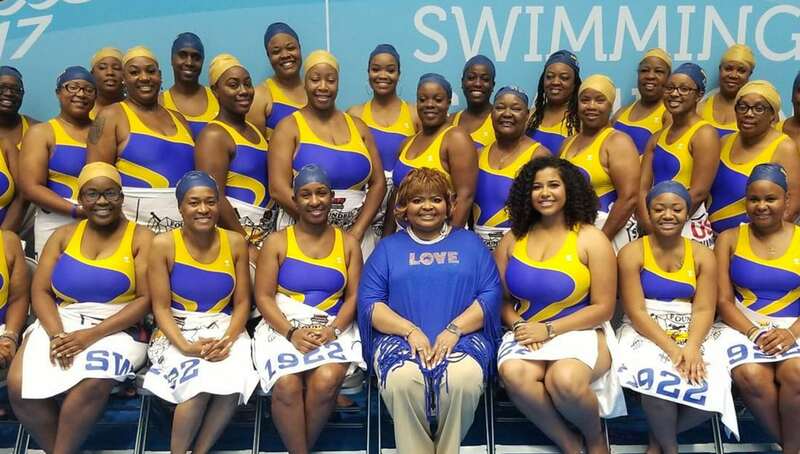 “The sponsorship between USA Swimming and Sigma Gamma Rho Sorority will increase awareness about our “Swim 1922” partnership, named for the year our sorority was founded, aims to increase swim participation and decrease drowning rates in our communities,” stated Deborah Catchings-Smith, the International President of Sigma Gamma Rho. “Last year alone, nearly 20,000 sorority members and affiliates participated in 117 swim clinics across the United States. These clinics yielded more than 2,500 swim lessons. “This partnership is a game changer for Sigma Gamma Rho as it aligns with our mission and strategic planning goals.” the press sororities release stated. Alon with their swim clinics, the sorority hosted a class on how to protect Black hair while swimming and learning to swim. Take a look at this interview that was done with International President Deborah Catchings-Smith as well as some of the people who helped with the event. Share this on Facebook if you think this deserves to go VIRAL!